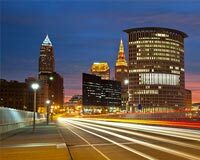 Between its strategic location, its large, skilled population, and its open economy, Cleveland has long been one of the best metropolises in the country for doing business. The city specializes in everything from automotive supply to healthcare to bioscience to technological development. This provides a steady supply of jobs and wealth for the local population, but it also creates pressing logistical challenges. ExpeditedFreight.com is happy to meet those challenges head-on, offering businesses throughout the area safe, swift supply and delivery services. To illustrate how important and difficult expedited shipping is in the Cleveland area, it’s important to consider the sheer variety of complex industries located here. 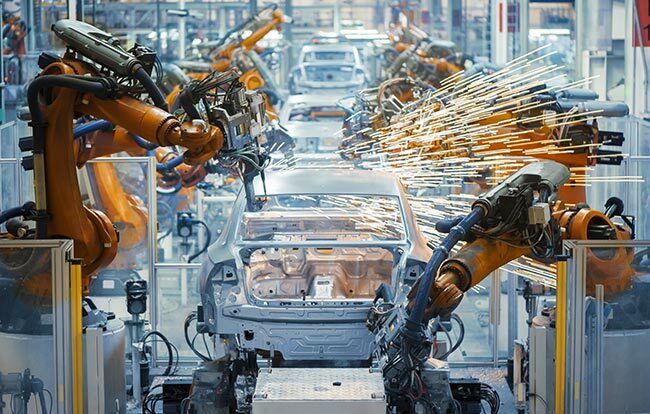 Within the city and its suburbs, you can find automotive supply businesses, which require a myriad of delicate parts in order to create equipment for cars and trucks. Likewise, Cleveland’s many hospitals and clinics need frequent shipments of medicines and medical equipment, while its technological development companies rely on everything from robotics to computer hardware to volatile chemicals. Supplying any one of these industries would be difficult; supplying all of them, while also making room for the local population of 2 million to use the roads, is a daunting task. ExpeditedFreight.com has never let itself be daunted, and resolves even the most complex logistical challenges in the Cleveland metropolitan area. We specialize in shipping items safely and quickly, allowing our clients to meet tight production schedules without worrying about damage to their supplies. This sets the stage for consistent growth and efficiency throughout the region. 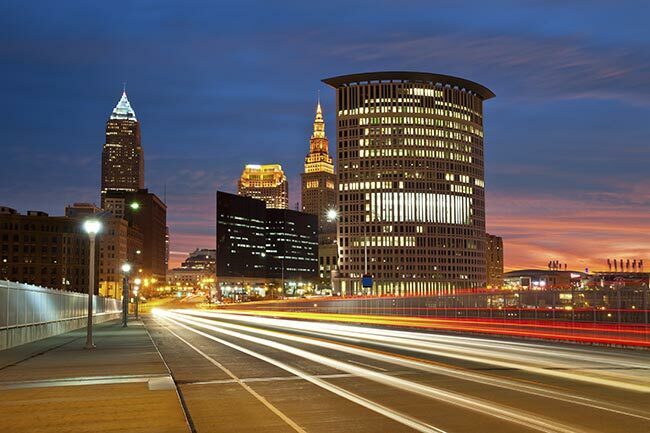 With vehicles and personnel in all major metropolises across the US and Canada, we have no trouble shipping into Cleveland from any starting point. We can also deliver from Cleveland to any destination, using our resources along the way to keep delays to a minimum. Besides operating all over the United States, we can deliver to or from any part of the Cleveland metropolitan area. Our coverage network extends not only to Cleveland proper, but also to its suburbs, satellite towns, and other cities within the region. Whether you need to deliver to Warren, Lorain, Youngstown, Parma, Euclid, Ent, or Akron, we're happy to help. From 650 Miller Road in Avon Lake, Ohio, Ford carries out some of its most critical Midwestern manufacturing activities. It is here that the company has its Ohio Assembly plant, which has produced its most advanced vehicles for more than forty years. The facility occupies 3.7 million square feet and directly employs more than 1,700 people. It currently manufactures the Ford F-650 and -750, the Ford Super Duty, and the Strip Chassis for the Ford E-Series. As one of the largest manufacturing facilities in the Cleveland metropolitan area, Ohio Assembly must plan its expedited freight deliveries carefully, bringing in as many supplies as possible when local roads are empty. While it has generally done so effectively, it is always at risk of delays. If a supply truck gets caught in traffic or suffers mechanical problems, critical automotive parts may be left stranded on the highway, preventing the plant from moving forward with production. ExpeditedFreight.com ensures that no such disruption prevents Ohio Assembly from doing its work. As a downline expedited freight company, we focus on completing emergency express freight deliveries for heavy manufacturing facilities. We have a detailed understanding of all routes into and out of Avon Lake, and can ship in replacement parts at a moment’s notice. Not only do we get your emergency shipments to you with time to spare, but we make sure no harm comes to them on the road, maximizing the value of your supplies. ExpeditedFreight.com prides itself on always keeping your items safe while they are on the road. To accomplish this, we take advantage of all the most advanced storage equipment, which can preserve and protect your items no matter how fragile or perishable they are. Because we reserve a vehicle for each order, we have no difficulty making room for this equipment. To deliver your order as quickly as possible, we plan each of our routes in detail beforehand, guiding our vehicles around obstacles, severe weather, and likely traffic. We also track the orders from start to finish, responding to any sources of delay or damage. This tracking equipment also allows our 24/7 customer service team to tell you the location of your order whenever you ask for it. For a free quote on ExpeditedFreight.com’s services in Cincinnati, contact us today at (440) 499-7515.